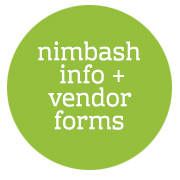 NIMBASH 2019 will be our tenth annual Nimbus Arts fundraising event and “Arty Party,” to be held on May 18, 2019. NIMBASH features interactive art activities, live music, performance art, farm-to-table food and superlative wines, a rockin’ recycled art fashion show, wildly fabulous silent and live auction, and an after-burner dance party! The NIMBASH auction raises significant funds for Nimbus Arts, supporting experiential art programs, artists, scholarships, summer camps, tourism art programs, and free community arts engagement activities for children, teens, and adults of all ages throughout Napa Valley. erings. NIMBASH attendees include collectors, patrons and art lovers from throughout the Bay-area, across the country, and around the world. Auction donations are accepted in four categories: Art, Auction Wine, Dinner Wine, and General. General lots include unique goods and services as well as one-of-a-kind experiences. 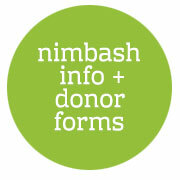 Downloadable, fillable forms for art, wine, and general auction donations follow. Please complete the form appropriate for your donation and follow the instructions at the bottom of the donation form. Once submitted, a member of our team will contact you to finalize your donation. Many donated items are combined to create interesting and compelling packages, and all donations may be combined in this manner unless specific arrangements are made with Nimbus Arts at the time of donation. We appreciate your donation and look forward to working with you! Save the date NIMBASH 2019 – Saturday, May 18, 2019 will see the tenth annual interactive arty party and auction. Guaranteed to dazzle art lovers from the Napa Valley and beyond with a spectacular evening of art, wine, food, music, fashion — and so much more. To be part of it all as a Food or Beverage Vendor, click on the forms below and get involved.